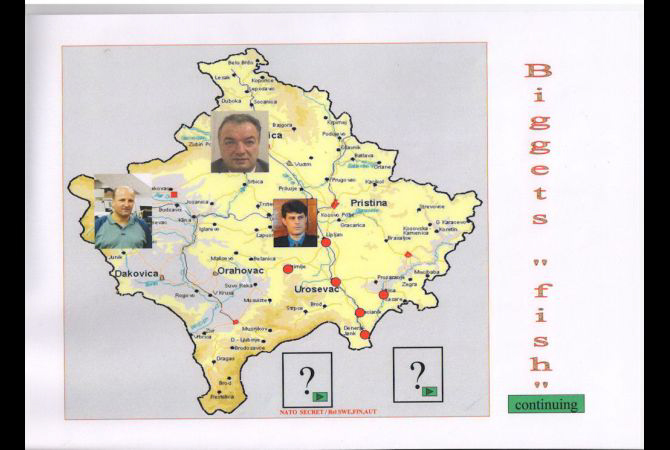 In the Kosovo’s post war era, there are eight murdered journalists, among them three foreigners: two Germans and one Serb. Another Kosovar, is added on the list today. Suddenly on Tuesday, October 27th 2015, Emin Rexhepi; a radio journalist, who worked for country’s national broadcaster ‘Radio Kosova’ was reported to have died in unknown circumstances as reported from the country’s media that he died in an ‘accident’. The journalist association itself known as ‘AGK’ made a statement calling upon authorities to investigate the matter. In an attempt to understand the circumstances and possible reasons that led the death of radio journalist, THEFrontliner.net has exchanged several conversations with colleagues of the deceased. The first information indicates that he has fallen from the ninth floor of the national radio broadcaster building office, ‘RTK’ in capital Pristina. “Nobody knows, whether he was pushed by someone from behind or the deceased himself has fallen aiming suicide. We do not yet know if it was murder or suicide,” told THEFrontliner a co-worker of journalist Emin Rexhepi. Journalist Rexhepi, is now officially enlisted and counted as ninth media personnel to have been found dead in unknown circumstances in Kosovo’s post-war era, whose administration is immersed in impunity crime. In a 2014 published report by OSCE Mission in Kosovo, it says that: “Key legislation has been adopted or amended in the last few years, but implementation remains a problem. There are reports that journalists have been threatened, intimidated, pressured and in some cases physically attacked. The judiciary has so far been slow in handling such cases. The European Commission Progress Reports on Kosovo, the one in 2009 and the other one in 2013 have been critical of the state of the freedom of the media and the safety of journalists in the years starting in 2009 up to 2012, stating that the freedom of expression is not fully guaranteed, the relevant institutional framework is not operational and the cases of political intimidation call for more robust measures by the Kosovo institutions. But, due to the failure of the country’s institutions to respond to EC calls and defend journalists, and the increase violence against the press freedom, on late September of 2015, the european organisation for security and cooperation, whose mandate is to promote democracy and the freedom of press and expression, known as OSCE, together with the country’s Journalists Association have launched a free telephone line to report threats, intimidation or attacks made against journalists. THE Frontliner, couldn’t manage to get any response from the OSCE representatives to find out why they have built some form of foreign mechanism to protect journalists, or what would they be able to do when cases are reported, but seemingly this is a development which additionally indicates that the freedom of press situation in Kosovo is increasingly at an alarming state, therefore it forced a foreign body to take such a step. In their section about Kosovo, they report 22 cases of physical violence and threats against journalists in Kosovo between January and November 2014, according to the Association of Professional Journalists of Kosovo (APJK) —up from 2013. One case involved a journalist stabbed in Pristina in late 2014 by a man whom he had satirized on his TV show on private broadcaster Klan Kosova. However, it is questionable that the very recent death of Emin Rexhepi, is the fourth suspected suicide reported in the past three years in Kosovo, which are actions undertaken by public officials in the country. The first was that of Head of the Privatization Agency of Kosovo (PAK), Dino Asanaj, who according to country’s press reports he could not afford 9 wounds of knife stabbings and as a result died in the Kosovo University Clinical Center (UCC) ‘Gazeta JNK’ reported. The prosecution had closed the case, claiming that he had committed suicide. Later Balkan Investigative Reporting Network reported that Police are hunting the killer of the head of the Privatization Agency of Kosovo, Dino Asanaj, who was fatally stabbed on Thursday in his office in Pristina. On 30th January 2013, Hamdi Sopa, a press officer of the Kosovo government was thrown from a building in Pristina, this was yet another suspected suicide reported by the police and same prosecutor, despite the fact that the journalist Sopa suspected of being stabbed and then thrown from the eighth floor of the Balcony, say the report. Another death was reported later in 2014, but this was one of a young man, which was political activist of oppositional nationalist political party known as ‘Self-Determination’. Arbnor Dehari died reportedly after having jumped from the sixth floor. No investigation was ever reported over the case. Blerim Isufaj, a Kosovo prosecutor, who is known for investigative involvement in such cases, surprisingly it turns out to be the prosecutor investigating claims that a man can afford to stabb himself more than five times in a suicide attempt. Inclusion of Kosovar youth in terrorist groupings in the Middle East is suspected to be backed by security agencies in Kosovo governmental organisations, suggests findings of an investigation conducted by journalist Vedat Xhymshiti over the terrorism in Kosovo. Some youths who allegedly were bred and forced to fight in the Middle East upon their return in the country were handcuffed and their testimonies were refused to be taken into account regarding the involvement of the state, even in these cases, the prosecutor Blerim Isufaj is involved as one of leading people, and his targeted witnesses testified for THEFrontliner on condition of anonymity that he was cooking accusations without supporting evidences. Seven years after the declaration of its independence from Serbia, the country was facilitated by an EU project with its mission for the rule of law with the Police and Justice. A project, which costs European citizens € 250 million, but EULEX has significantly failed to develop constitutional institutions and fight against corruption, instead EULEX staff quite often was found to be involved in criminal activities, as it was also revealed by British prosecutor Maria Bamieh. Four years after Kosovo had declared its independence, country’s Independent journalist and war correspondent Vedat Xhymshiti, faced an attempted murder, whose first and only case is on a Court trial, but due to safety reasons journalist Xhymshiti, remain to be staying away from Kosovo, as also said by the United States, state department of Human Rights and labour in their 2012 country report in ‘Freedom of Press‘ section. The violence against the media freedom, and the freedom of expression had surfaced earlier below the feet of Kosovo Foreign Minister Hashim Thaçi, whose wartime nickname is ‘the snake’. In June 1997, in an incident that many individuals in the guerrilla movement identified as a ‘sinister’, a Kosovo-Albanian journalist who had close ties with the movement was found dead in his apartment in Tirana. “His face was marred by repeated stabbings with a screwdriver and at the end of his buttocks a broken bottle was found.” The New York Times reports. Reporter Ali Uka, was supporter of the rebel movement, but he was also sufficiently independent enough to criticise the uprising. At the time of his death, he was living in an apartment with Hashim Thaçi which, is also identified as the ‘Big Fish‘ in the organised crime. Once PM and now Foreign Affairs Minister Thaçi, is among those with a serious backup from the White House administration in Washington, especially being guarded by the US Embassy to Prishtina, Kosovo’s capital city. BBC News in a story published back in 1999, speaks about how “‎Kosovo, is gripped by ‎racketeers” subjecting the US backed politician Hashim Thaçi. While the Constitution of Kosovo and its legal framework assures and guarantee the freedom of expression and freedom of the press, the media environment in Kosovo continues to be affected and threatened by local and international political interference, corruption and financial pressure. Kosovo was once ranked 80th out of 180 countries in the Reporters Without Borders index of press freedom, but the crisis of freedom of the press is further deepening alighting Kosovo year-on-year to plunge the country seven places below, as it is placed into 87th this year, as a result of continued fundamental violations of press freedom and the freedom of speech, which is guaranteed by Article 40 of its Constitution. The EU and Kosovo have signed an agreement to deepen ties that is seen as a first step towards EU membership. Prime Minister Isa Mustafa said the agreement “sealed Kosovo’s path” towards joining the EU, BBC reported. EU foreign policy chief Federica Mogherini said the deal with Kosovo represented “an important contribution to stability and prosperity in Kosovo and the region at large”. The Stabilisation and Association Agreement is the first key step for non-EU countries on the path towards membership of the bloc. Since mid-September the opposition has used tear gas canisters, hurled eggs and plastic water bottles or blown whistles to stop holding normal sessions. This week’s session was postponed until Monday. Therefore, a parliament session was postponed today fearing the opposition teargas protests, AP reported. The opposition says no more parliamentary sessions should be held unless the government renounces deals with Serbia to give more powers to Serb-dominated areas in Kosovo, and with Montenegro on border demarcation. After a conflict between Yugoslav forces of Serbia and Albanian rebels in 1999, NATO intervened with air strikes bombing Serbia for 78 days, in a bid to stop the massacre and ethnic cleansing of Serb forces against Kosovo Albanians, a violence, which had caused a wide rebellion in the region. NATO’s intervention eventually forced the Serbian Parliament to grant political autonomy for Kosovo, while keeping it within its territorial borders. Nine years after the war, Kosovo declared its independence, but its status as the self-proclaimed Republic of Kosovo, has been recognised only by the 111 countries of the 193 member states of the United Nations. Serbia has not recognised Kosovo’s independence, but in August it signed key agreements to normalise ties, a condition for its own EU accession. Kosovo is the poorest and most isolated country in Europe, with millionaires politicians steeped in crime. A third of the workforce is unemployed, and corruption is widespread. About two in three under the age of 25 are currently unemployed, and nearly 50% of the 1.8 million citizens of Kosovo are considered to be poor. During last December only, more then 200-thousands of Kosovars were forced to leave the country in an effort to find a better life, studies and more dignified jobs. NATO files published in 2011 in international media, showed that the United States and some other Western powers who supported Kosovo’s government has extensive knowledge (for a few years!) of the criminal connections of former head of rebels and also PDK leader Hashim Thaçi and some members of other political parties in the country. June elections 2014 marked also the death of two well known political activists; Elvis Pista an elected MP of ruling PDK, as well as the secretary of ‘Vetëvendosje Arbënor Dehari whose death went very silently. These unreported casualties resulted after the political tensions rose between the ‘opposition united coalition front’ and ruling PDK party in the aftermath of the elections. Hundreds of youth Kosovar participate in various Middle Eastern armed conflicts. Vedat Xhymshiti’s findings suggest significant prove of allegations of involvement of state authorities to encourage them to join the ranks of armed groups involved in crimes and war crimes against humanity. PSE ABSTENUAN DISA SHTETE QË E NJOHËN KOSOVËN? !